Discover Samsung’s next innovation in entertainment with our next-generation 4K Certified Ultra HD Premium Blu-ray player. Step into the future with 360 playback that allows you to share a stunning 360 degree experience with friends. Then make fights over who’s watching the TV a thing of the past, by streaming Blu-ray content to a compatible tablet or smartphone with ease. You can even step into the future with 360 degree playback. 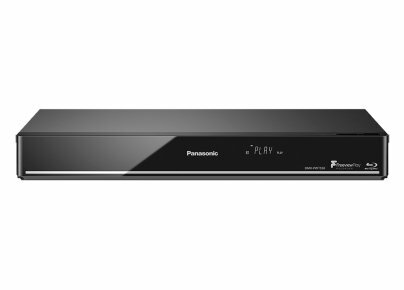 Watch 360 footage with friends and discover a Blu-ray player that’s ready to work with the next-generation of content. With UHD Blu-ray, experience the best picture quality possible, and enjoy unrivalled image clarity with a resolution that’s 4 times higher than Full HD. Watch as colour bursts onto the screen with stunning brightness levels that turns watching your favourite titles into an experience. It’s even the perfect for creating a spectacular home entertainment experience. Make any TV a Samsung Smart TV just by connecting it to the UBD-M9000. Whether you've got an older set or one that simply isn't Smart, give it the ultimate upgrade to our latest Smart Platform. Then pair it with any Samsung TV and our Dolby Atmos enabled K950 Soundbar to put yourself at the heart of every moment. With Samsung’s Picture Technology, Hollywood is bought into your home like never before with brightness and colour reproduced just as it was mastered for the film studio itself. Spend movie nights at the cinema and transport yourself deep into every moment without ever leaving your living room. Then see 1.5 times more colour than is currently available at Digital Cinema Standard. A range of stunning shades burst from the screen, breathing new life into every scene. Even on larger screens, the UBD-M9000 allows for crystal-clear and detailed images at 4 times the resolution of Full HD. Discover every hidden detail in old favourites and make the most of every new release. Make fights over who’s watching the TV a thing of the past by streaming content to your mobile device whilst the TV is on. Stream Blu-ray content to a compatible tablet or smartphone with ease or stream from your compatible mobile device to the M9000 - the choice is yours. BD quality streaming produces a picture that's unmatched by HD, uncovering every detail. Keep the kids entertained or just keep everyone happy. Then when you've got a family gathering, view holiday photos and videos on the big screen. Discover every detail in the latest UHD Blu-ray titles, and make late-night Netflix and Amazon Instant Video marathons even more captivating in 4K HDR. 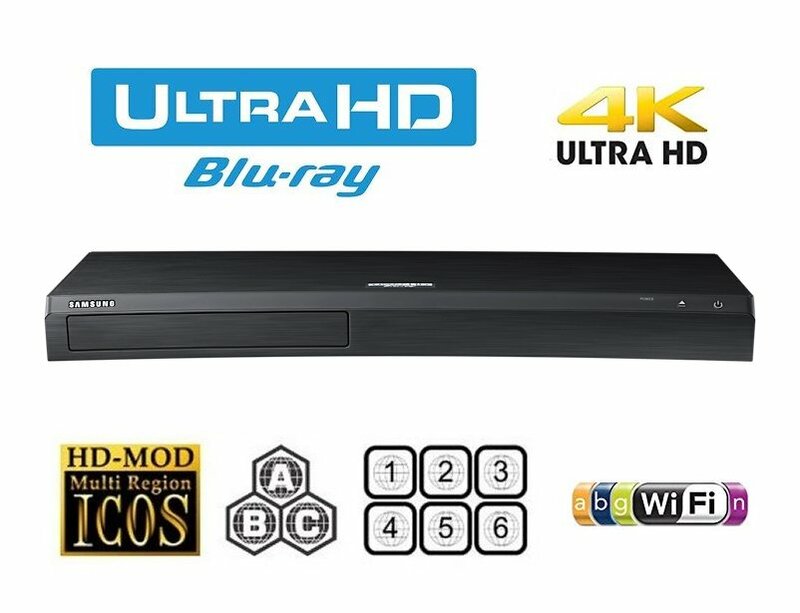 With a Samsung Blu-ray player, every ordinary viewing moment becomes extraordinary with unrivalled image quality when playing back UHD Blu-ray discs. Even streaming your favourite movies and TV shows is smoother than ever before. See every scene without stuttering and enjoy a clearer image, unaffected by Wi-Fi bandwidth restrictions. Leave your worries about wires behind. Because the UBD-M9000 has built in Wi-Fi, you can enjoy instant easy access to all of your smart content. Just power on, connect to your wireless network and kick back with a wide range of entertainment that’s sure to make every night in special. Make any TV a Samsung Smart TV just by connecting it to the UBD-M9000. Whether you've got an older set or one that simply isn't Smart, give it the ultimate upgrade to our latest Smart Platform. Discover a wide variety of content and have all the functionality of a Samsung latest Smart TVs at your fingertips.